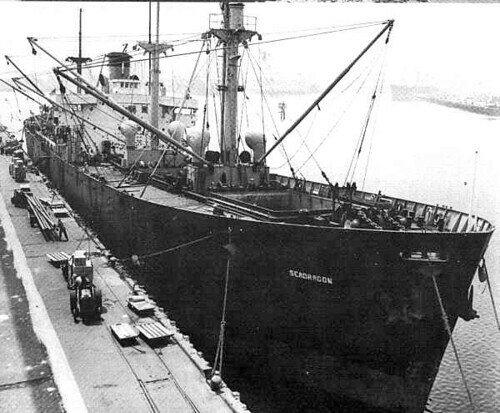 The Liberty Ship SS Patrick B Whalen in 1953 flagged as the Seadragon. This was one of many other names utilized by the ship during the McCarthy era. The ship was launched in 1945 built by the J A. Jones Construction Company in Brunswick, Georgia. The SS Patrick B Whalen was scrapped in Taiwan in 1967. Photographer unknown. Retrieved from www.armed-guard.com/lsip11.html 2/2/2015.